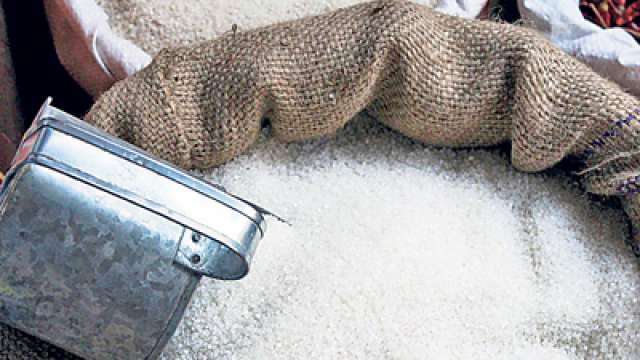 NewDelhi : To help the sugar industry to clear its cane dues arrears, the Cabinet Committee on Economic Affairs (CCEA) yesterday approved the proposal to provide soft loans to the extent of about Rs. 7900-10540 crore to the sugar industry. Government will bear the interest subvention cost @ 7 – 10% to the extent of Rs. 553 crore to Rs 1054 crore for one year. To ensure that farmers are paid their dues expeditiously, the Government has mandated that banks will obtain from the sugar mill, the list of farmers with bank account details to the extent cane dues are to be paid, so that the same are directly paid into the accounts of the farmers on behalf of the sugar mills. Subsequent balance if any, will then be credited into the mill’s account. Furthermore, in order to incentivize the mills to clear their dues, CCEA has also decided that the approved soft loans will be provided to those units which have already cleared at least 25 percent of their outstanding dues in the sugar season 2018-19. Surplus sugar production over domestic consumption requirement during the last sugar season 2017-18 (October, 2017 to September, 2018) has adversely affected the liquidity position of the sugar mills resulting in building up of cane price arrears of farmers which reached to an alarming level of Rs 23232 crores in May, 2018. To mitigate the situation and protect the livelihoods of cane farmers, the Government, in fact, has taken several steps in the sugar season 2017-18 viz. fixed minimum selling price of white sugar to Rs.29/kg w.e.f 7.06.2018, allocated mill wise Minimum Indicative Export Quota (MIEQ) of 20 LMT, extending assistance to sugar mills @Rs.5.50/quintal to offset the cost of cane, created buffer stock of 30 LMT, fixed Remunerative Price of ethanol derived from C-heavy and B-heavy molasses as well as from sugarcane juice, etc. As a result of these measures cane price arrears for sugar season 2017-18 which peaked to Rs 23232 crore at the end of May, 2018, has been reduced considerably to Rs 1291 crore, as on 28.02.2019.